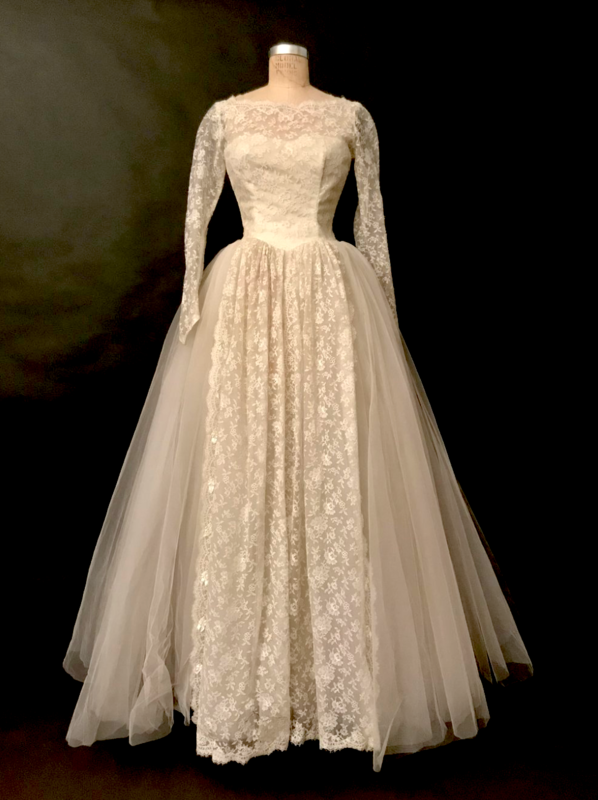 In honor of our vintage roots and with respect to the great designs of the past, we are proud to offer a curated selection of pristine vintage wedding dresses. These are one of a kind in varying sizes. The selection changes regularly as we sell and re-buy. We do offer various options for re-design. 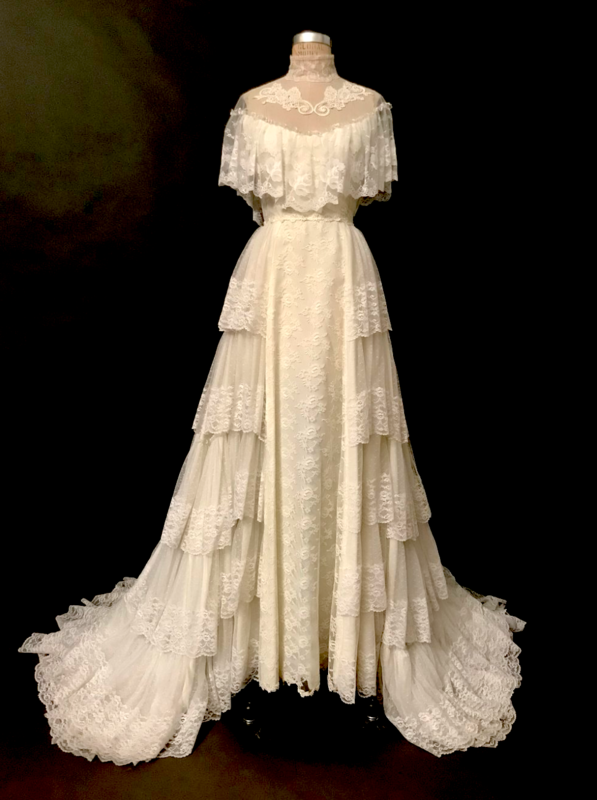 To try on our vintage gowns please follow the directions on our contact pages for appointments.